Beating stiff competition from fellow Aussie rockers Powderfinger (with Sunsets Farewell Tour) and Tex Perkins (with Man In Black), AC/DC bagged yet another award underscoring the enormous success of their recently completed Black Ice World Tour. AC/DC’s ‘Live At River Plate‘ chronicles the band’s triumphant return to Buenos Aires where nearly 200,000 fans, over 3 huge nights, gave the band a welcome they’ll never forget after a 13 year absence from Argentina. The ARIA Awards recognise excellence and innovation across all genres of Australian music. The full awards ceremony will be held on November 27 at Allphones Arena, Sydney. 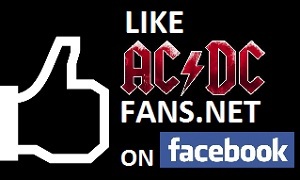 Don’t have ‘Live at River Plate’ in your AC/DC collection? Bag your copy now!